Ashwiny Iyer Tiwari’s Bareilly Ki Barfi has received good reviews from critics. The average rating of the film stands at 3.1 stars. The highest rating is 4 stars, while the lowest the film has received is 2 stars. Ashwiny Iyer Tiwari crafts a story of small town India with the help of writers Nitish Tiwari and Shreyas Jain, which is an adaptation of a French book. The story moves forward in a lighthearted manner and the film has a casual touch to it which helps it immensely. The jokes and humour aren’t derived from vulgar or crass jokes but from the circumstantial clash of two differently dimensional characters. And it works. Even when Bareilly Ki Barfi moves on to dramatic portions, the lightness doesn’t go away which keeps the smiles flowing. Credit must go to the director and writers for crafting this story which is so very desi in nature. There are hardly any boring moments in the movie. BAREILLY KI BARFI is adapted from the book ‘The Ingredients Of Love’ by Nicolas Barreau. Nitesh Tiwari and Shreyas Jain’s story is weak and needed quite a bit of polishing. Nitesh Tiwari and Shreyas Jain’s screenplay is effective at places but otherwise, it drags. Nitesh Tiwari and Shreyas Jain’s dialogues however are terrific and probably the best thing of the film. Ashwiny Iyer Tiwari’s direction is uncomplicated and simple and that’s her biggest victory. But the director, who helmed the well-made NIL BATTEY SANNATA last year, could have done a better job and kept the film tighter. BKB is a hooray moment for Hindi cinema. This romcom set in the North Indian town of Bareilly, breaks the shackles of Bollywood’s continued dependence on cardboard cuts and instead introduces you to real people, whose charms are infectious. The writers Nitesh Tiwari (director and writer of the much-acclaimed blockbuster Dangal )and Shreyas Jain have put together a sweet, identifiable crowd-pleaser that excels in the writing, direction, acting and music departments. Bareilly Ki Barfi is purely a one time watch which has a few odd hilarious dialogues and some great performances but no storyline to it. It is certainly a light hearted film which is not as good as it promised to be. The editing could have been sharper. The film does drag at times and shortening the narrative would have helped. The reason behind Ayushmann wanting to portray Rajkummar as an unsuitable candidate seems a bit flimsy, especially considering the fact that this is what a large part of the movie is based on. This is an entertaining, romantic film laced with humour and feel-good moments. Watch it, you won’t be disappointed. Rao, who put on crackling performance is the recently released ‘Trapped’ and ‘Raabta’, delivers yet again, both, as the demure friend and the garish man he presents himself to be. His earnest performance may even pull you through the film. 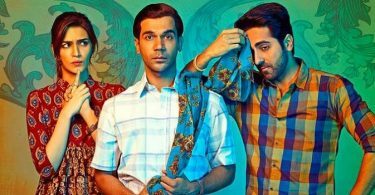 However, ‘Bareilly Ki Barfi’ has several dull moments, which speaks of an editing that wasn’t crisp enough. Finally, here’s a Hindi film whose second half doesn’t disappoint and unravel into a total mess. While the first half is predictable and adheres closely to the trailer, the scenes after the interval are delightful. The climax where you guess which man walks away with the woman may be predictable, but there’s no taking away from Iyer Tiwari’s knack for telling a good story in an engaging manner. On the flip side, the movie fails to redefine or make any statements on relationships. A director like Ashwini Iyer Tiwari who has raised the bar in her very first film is bound to evoke expectations from the thinking audience and here we find the director fall prey to the known first and second movie syndrome. Your first movie is the one which normally you have been planning and having in mind for quite some time, it’s the second film that underlines the genius in exceptional talents like Ashwini Iyer Tiwari. Here we failed to get that ‘magic’. But in no way, BAREILLY KI BARFI is the one to be missed. Ashwini Iyer Tiwari has fulfilled the desires of a feel good mainstream rom-com in BAREILLY KI BARFI. It is delightfully sweet, delicious, comes with a twist and is powered by top notch performance from Kirti Sanon, Ayushmann Khurrana and Rajkummar Rao. Ashwiny Iyer Tiwari after giving us an adorable Nil Batte Sanatta weaves magic once again with her crisp direction though this one is more commerical in its scope. The incredible editor Chandrashekhar Prajapati, as always, manages to keep the length of the film in check. Bareilly Ki Barfi is a delicious film brilliantly narrated in Javed Akhtar’s voice. If you are not doing anything this weekend, go watch it. If you are already engaged, please cancel your engagements and go and watch it. As far as the film goes, the first half is not so engaging, to be very honest and you may find your attention wandering towards the popcorn. However, once Rajkummar enters the narrative, the film gets elevated to another level altogether and starts becoming entertaining and engaging. The dialogues are quite humorous and it is obvious that much attention has been paid to writing them. The constant competition between Chirag and Pritam to woo Bitti is one of the highlights of the film and you will definitely find yourself rooting for the underdog Pritam. The climax is somewhat predictable, but by the time you arrive there, you have started liking the movie to an extent, where you don’t find it difficult to forgive the makers for it. The two actors who play the best friends, one who accompanies Khurrana, and the other who is seen with Sanon, are pitch perfect. They show up the problems that Sanon has with merging into her part: she tries hard to the be the small-town girl who likes a couple of puffs on the side, and who break dances for fun, but the effort shows. The plot’s contrivances come in the way of Khurrana’s playing of Chirag fully credibly. As does Rajkummar Rao, who blows away the weaknesses of this film with his consummate act, playing the timid ‘chota shehari’ on the one hand, and the loud ‘rangbaaz’ on the other. Rao sweetens the pot, and makes up for the rest of it. Almost. Bareilly Ki Barfi is sweet and delightful. Its hilarious one-liners like, “Ye toh aastin ka anaconda nikla” and “Ye Bitti raat bhar kahan ghumti rehti hai, ladki hai koi chudail thode na hai,” totally work. This light-hearted comedy refrains from being slapstick and slowly weaves its charm. Worth a watch. The screenplay and dialogues are what take this film to another level. Else, the basic tale is fairly ordinary and cliched. The actors do justice and deliver, mouthing the well-written lines with conviction and panache, enhancing their characters all the way. Overall, ‘Barielly ki Barfi’ is a tasty sweet treat to rev up your weekend. Contrary to the film’s narration which labours to paint the Mishras as the quirkiest clan in Bareilly, they’re actually very average. But this is one of the film’s strengths. With every filmmaker climbing over the other to draft families which gobble up the ‘function’ from dysfunctional, meeting one that is purely like any other is refreshing. Also, the father-daughter equation furnished here breaks the notions of patriarchy one associates with small towns. For instance, the papa here is not only aware and accepting of his beti’s smoking habit, but also doesn’t shy away from bumming one off her when constipated. The audiences who’d come for Bareilly Ki Barfi didn’t seem like they were expecting the movie to be anything more than a silly rom-com. But Bareilly Ki Barfi ended up surprising them, and by the end, they were all having such a good time and seemed so happy to be in that theatre together, that you could see why cinema was always meant to be this communal experience to be taken in without pre-judgments. There were moments in the movie when a loud laugh escaped my throat. But it didn’t seem to matter. Because they were all laughing and my laughter was getting drowned in the laughter of those around me. For all the energy that Bareilly Ki Barfi exudes, it never quite lifts itself above its featherweight category. But that is barely a disqualification. If anything, it keeps the film chugging along at an even pace, its tongue-in-cheek levity preventing it from being sucked into sticky sweetness. Bareilly Ki Barfi is definitely worth a watch provided you do not expect the world from it. It is happy to be what it is: a modest barfi from nondescript Bareilly. A bite wouldn’t be a bad idea. The makers play with the outdated love triangle formula with a quirky twang but despite all the cleverness and the punch lines they failed to deliver a riveting comedy. It seems the writers (including Nitish Tiwari) always aimed at an above average film while conceiving this plot and when you reduce your goal to being above average you are left with a strictly average end product. All in all, the film strikes a chord because of its authenticity and characters. The story is predictable and flawed too, but the film’s pace and set-up keep you invested. There’s no dull moment in the film. Much like its title, Bareilly Ki Barfi is a packet of sweets that you’d enjoy after a meal. It will leave you satiated and happy. Those are some decent reviews. I personally love reviews by indicine a lot more, they have our perspective. Instead of being a pseudo intellectual and picking on every single fluke or error, just enjoy the film and give a frank opinion about it. We need a genuine reaction, not passive aggressive comments wrapped up in complex vocabulary. Where is toilet ek prem katha 7th day and week collection article. Now a must watch on my list! He doesn’t review of the website anymore. Hungama is biased towards non-TSeries films. Like you with Ajay Devgn films. Is Salman Khan doing Race 3 directed by Remo D souza which will release on eid 2018? Is remo a good choice than abbas mustan or is salman being kind bcoz he had alloted those dates to remo’s movie? Much better than jhms .. Saw the movie today. Excellent performances by all the characters. Simple story but beautifully crafted script. Loved it. See it for the sheer joy of watching a good film and lets not debate how much it collects at the box office. Fantastic movie. Had to take a 50km drive to watch it. Totally worth the time. 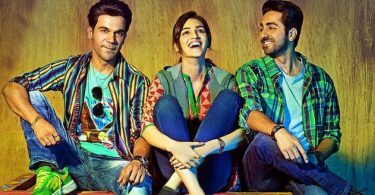 Bareilly ki Barfi – A breezy, funny, light-hearted, entertaining, & ofcourse, SWEET rom-com to be enjoyed with the whole family. That’s the summary of the movie. However, being a local to Bareilly and having an addiction to milk based sweets, I was tempted to go behind the microscope and do a technical dissection of the script. And i totally succumbed to it. All the supporting characters in the movie (Bitti’s parents, Chirag’s friend, Pritam’s mom) are perfectly pitched, but the lead characters (barring Rajkumar Rao, and we’ll come to his performance later) seem totally out of place. Kriti Sanon, who’s mostly dressed up in skinny cropped denims n suede mocassins, looks more like a bohemian chic from South-x or Lajpat Nagar in suburban Delhi , much less a middle class employee of “Vidyut Vibhag” and daughter of a sweet shop owner from Ekta Nagar , Bareilly. Her supposed rebellious nature ( cigarette smoking n break-dancing on the open terrace) , notwithstanding. Also, what’s with the name ‘Bitti Mishra’ ? ‘Bitti’ could be a nickname for say, ‘Bindiya Mishra’ or ‘Barkha Mishra’ but nobody’s called ‘Bitti Mishra’ officially. On a sidenote, the “Sweety tera drama” song could easily have been “Bitti tera drama”, to bring in more coherence, without actually making any difference to the drama. Ayushman Khurana, owner of the printing press n part time ghost-writer, speaks in English initially n later moves on to ‘sanskritized pseudo-awadhi’ kind of a dialect with ample sprinklings of words like “Aupcharikta” , “Prayatn” , “Parishram” , etc. As the famous hindi maxim goes – “Kos Kos pe badle Paani, Chaar Kos pe Baani”, which loosely translates to “The taste of water changes every 10 miles and the language changes every 40 miles in our country”. Some of the moments in the movie capture the essence of the quintessential small-town life beautifully – “lavlaa sweets board”, “baawan rupaye litre doodh” , “jangadna guy talking to bitti’s father while their mouths are full of gutkha n barely able to mumble” are hilarious sequences which inadvertently make u smile. However, there are few places where the writers have gone overboard – yes, power cuts are common-place in Bareilly and whole of UP, but the “shikayat department” doesn’t quite play pre-empted messages like “pure shehar ki gayi hai, thodi der mein aayegi, asuvidha ke liye khed hai, dhanyawad”…Nah !! That’s presumptuous. The Bareilly train station, which is central to the story, looks make-shift. The book stall is fine, but the platform and loudspeaker announcement for arrival of trains doesn’t seem real. Also, there ain’t no patrolling policemen letching at lone female travellers and asking their whereabouts. These minute details can easily pass off as acceptable for someone who has never visited Bareilly, by train or otherwise, but will get caught by someone like me who uses the platform regularly – For the last time, i will mention the word ‘microscope’. In a nut shell, the elementary issue is ‘lack of authenticity’ – i mean the movie could easily be called “Budaun ka Peda” or ” Allahbad ki Imarti”, without much changes to the script, and therein lies the problem – the peculiarity, authenticity and finer nuances are amiss. Also, the climax of the movie is a letdown…bit of an anti-climax. By the end, the audience is already rooting for the simpleton underdog to walk away with the girl and the scheming guy, to realize his mistakes. Instead, what you get is a “predictable twist” which seems totally contrived n cliche’d , specially when you started expecting refreshing Novel-ty from the narrative, pun intended. Coming to the performances – The film belongs to Rajkumar Rao. Period. If there ever was an award for the most naturally gifted, and under-rated actor of the current generation, this guy should receive it, pronto. He steals the scene whenever n wherever he appears on the screen, and makes the other actors seem like trying very hard to match up to his antics – and we’re talking about supposedly good co-actors here. Watch the scene where he blocks a jeep and auto on the road with his bike n takes his own time to kick start his bike n unblock the traffic – it is the scene of the movie, n he owns it like a pro. Finally, to sum it all up – should one dig into this saccharine offering ?? Ofcourse yes !! It is what it promises to be – high on calories, but delectable nonetheless ! !